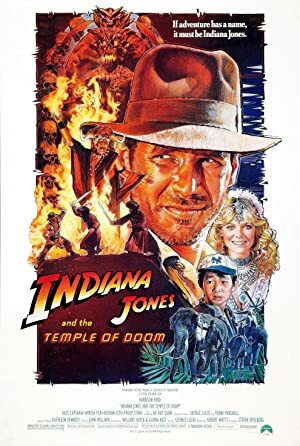 Indiana Jones and the Temple of Doom (1984) – What's New on Netflix Canada Today! After arriving in India, Indiana Jones is asked by a desperate village to find a mystical stone. He agrees, and stumbles upon a secret cult plotting a terrible plan in the catacombs of an ancient palace. Set in 1935, a professor, archaeologist, and legendary hero by the name of Indiana Jones is back in action in his newest adventure. But this time he teams up with a night club singer named Wilhelmina “Willie” Scott and a twelve-year-old boy named Short Round. They end up in an Indian small distressed village, where the people believe that evil spirits have taken all their children away after a sacred precious stone was stolen! They also discovered the great mysterious terror surrounding a booby-trapped temple known as the Temple of Doom! Thuggee is beginning to attempt to rise once more, believing that with the power of all five Sankara stones they can rule the world! Now, it’s all up to Indiana to put an end to the Thuggee campaign, rescue the lost children, win the girl and conquer the Temple of Doom.